Summers are here and the heat has already taken a toll over all of us. The humid and hot temperate with pollution, dust and sweat really makes our hair very bad and it becomes very difficult to maintain their health. Washing them everyday to get rid of all the pollution and sweat is not a solution either as it will worsen the situation. 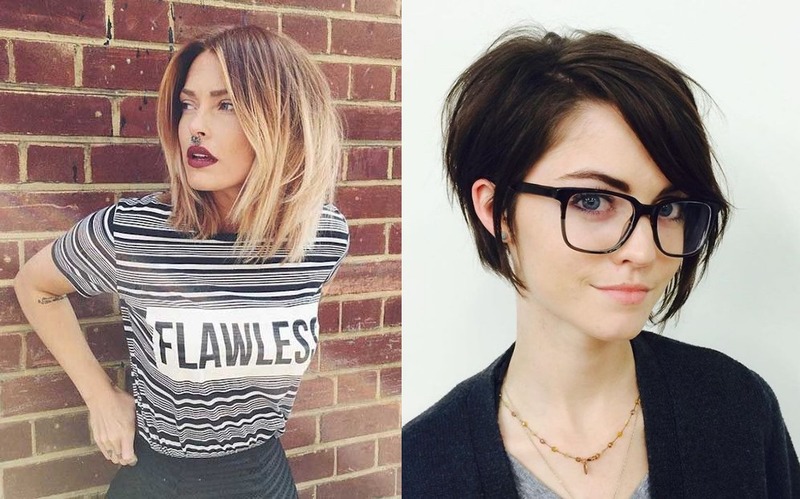 One thing which we can do is cutting them short, and short hairstyles are in trend and look cool these days. Get the Bang Cut– Bangs, also known Fringe, is a shaped cutting of the front part of the hair so that it lies over the forehead. Bangs are usually cut fairly straight at or above the eyebrows, but can also be ragged or ruffled, swept to one side or the other, or cut longer to fall over the eyes. Decide on the length you want for your hair, you can go extra short or keep them long like till neck length. Pixie cut– A pixie cut is a short hairstyle generally short on the back and sides of the head and slightly longer on the top. It is a variant of crop. 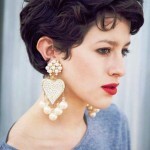 This style was popularized first in 1950’s when Audrey Hepburn was seen wearing it for her debut film, ‘Roman Holiday‘. Great for the people who want to change their look with a really short hair. Layered Bob– A bob cut is a short haircut for women in which the hair is typically cut straight around the head at about jaw-level, often with a fringe or a bang at the front. The bob is cut at the level of ears, below the ears or above shoulders. 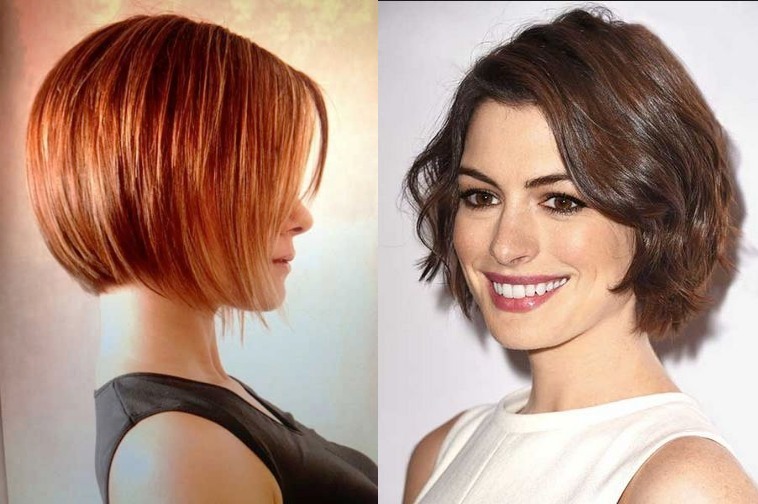 Inverted Bob Cut– Also known as a graduated bob, it is similar to an A-line bob, but with stacked layers at the back. The perimeter of the cut is curved rather than being a straight line.